Random House, 2018. 753 pages, $35.00, hardcover. Since its establishment in 1948, Israel has carried out more targeted assassinations — the killing of identified individuals, mostly civilians, in order to attain specific political objectives — than any other country in the Western world. Over the past seven decades, Israel has conducted some 2,300 targeted-assassination operations, killing several thousand people. 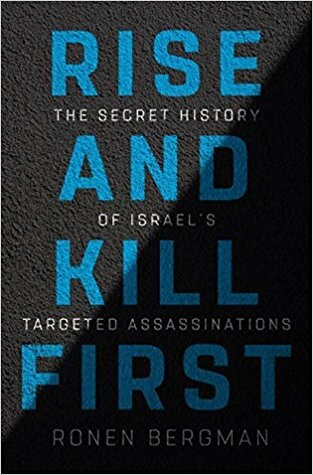 Based on a meticulous and prodigious research effort spanning over seven years, including 1,000 interviews with high-level political officials, chiefs of intelligence agencies and operatives, Israeli journalist Ronen Bergman has produced a comprehensive and authoritative history of Israel's targeted-killing policy. Bergman, who holds a doctorate in history from Cambridge University, was privy to thousands of documents that were provided to him by the interviewees. The sources of his material are carefully annotated over a span of 78 pages. Israel's targeted assassinations have been planned and implemented by several civilian and military agencies. These include Mossad (the Institute for Intelligence and Special Operations); Shin Bet (General Security Service); AMAN (Intelligence Department of the Israel Defense Forces General Staff); Sayeret Matkal (elite commando unit attached to the IDF Chief of Staff office); and Flotilla 13 (naval commando unit). Mossad plans and conducts killings abroad, but not in enemy states, so-called "target countries" that fall under the domain of the military agencies. Shin Bet operates solely inside Israel and the occupied areas of the West Bank. Bergman notes that, for a long time, there was little coordination among Mossad, Shin Bet and AMAN in the gathering of intelligence and implementation of targeted-assassination operations. Beginning in September 2000, personnel from the civilian and military units have been placed under the same roof in a permanent war room for targeted killings. This move enabled Israel to steadily increase the number of assassinations from 24 in 2000 to 135 three years later. Until the outbreak of the second Intifada in September 2000, all of these agencies carried out their killing operations without a uniform set of targeting guidelines or a common legal framework. For example, while Mossad included among its targets individuals who had killed Israeli civilians, Shin Bet also targeted "ticking time bombs," those who were either planning an attack or about to carry one out, or who were directly involved in such behavior. Beginning in late 2001, Shin Bet has added as targets those supporting the so-called "ticking infrastructure" behind terrorist and suicide attacks, including recruiters, weapons suppliers and money smugglers. In January 2001, the chief of the Military Advocate General's Corps issued a legal opinion defining legitimate targets as those about whom there is "accurate and reliable information that the person concerned carried out attacks or dispatched attackers," or "when it is almost certain that the target will in the future continue carrying out" such actions. 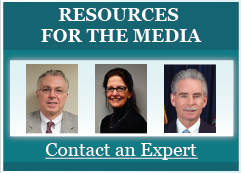 The opinion emphasized that it is preferable to make an arrest than to assassinate someone, and it stipulated that any killing should be contained in order to minimize the loss of life and damage to property. Israel's Supreme Court affirmed these principles in 2006. Before carrying out a targeted assassination, all agencies are required to follow strict identification procedures. As a general rule, before a person is killed, they must be "framed," that is, their identity must be confirmed by two independent sources in real time. Furthermore, authorizations for killing missions are to be denied if intelligence provides in advance "positive knowledge" of the presence of children in the hit zone. While these guidelines have generally been followed, Bergman dwells in detail on two of several notable exceptions. The most notorious and damaging misidentification occurred in July 1973, when a Mossad team assassinated Ahmed Bouchiki, a Moroccan working as a waiter in the small Norwegian town of Lillehammer. He was mistaken for Ali Hassan Salameh, the so-called Red Prince who had planned the killing of the Israeli athletes in the 1972 Munich Olympics. One of the most tragic instances involving the death of innocent civilians occurred on July 22, 2002, when an Israeli F-16 fighter dropped a one-ton bomb on the Gaza home of the intended target, Hamas leader Salah Shehade. In addition to Shehade, those killed included his wife and daughter, his assistant Zaher Nassar, and ten other civilians, including seven children, the youngest less than one year old. In addition, 150 people were injured. Heretofore, almost all targeted assassinations have been directed at Palestinians associated either directly or remotely with terrorist activities against Israelis. Most of these killings took place in the West Bank, Gaza and Lebanon, but a few occurred in Western Europe, and as far away as Tunis, Dubai, Iran and, most recently, Kuala Lumpur. The victims also included a small number of German scientists who tried to assist Egypt in developing nuclear weapons in the early 1960s, as well as several Iranian scientists and engineers involved in their country's nuclear-development program. In addition to Jews, those exempted from deliberate killings include any highest-level political leaders — due to fear that such assassinations would cause severe international condemnation and legitimize similar attacks against Israeli officials. According to Bergman, PLO and Fatah leader Yasser Arafat appeared on and then vanished from the Israeli hit list on numerous occasions. Killing Arafat was the major objective of the IDF attack on Karameh in March 1968, but he escaped on a motorcycle disguised as a woman. After speaking at the United Nations in 1974, Arafat was removed from the Mossad hit list, as he had become a major political leader. He reappeared as a target following the assassination attempt on the Israeli ambassador to Great Britain, Shlomo Argov, in June 1982. During the ensuing Israeli siege of Beirut, Arafat managed to escape time and again. On at least five occasions between November 1982 and early January 1983, Israeli F-15 and F-16 fighters were ready to intercept and destroy planes believed to be carrying Arafat, but each of the missions was eventually scratched due to insufficient evidence that Arafat was on the target airliner. He was again removed as a target during the secret negotiations that culminated in the signing of the Oslo accords in September 1993. Beginning in April 2002, following several horrific terrorist attacks against Israelis, Prime Minister Ariel Sharon was determined to kill Arafat. However, in response to a demand by President Bush at a White House meeting in mid-April 2004, Sharon promised not to harm the Palestinian leader. Curiously, a very short time later, Arafat died in a Paris hospital from a mysterious intestinal disease. Bergman admits, "If I knew the answer to the question of what killed Yasser Arafat, I wouldn't be able to write it here in this book, or even be able to write that I know the answer. The military censor in Israel forbids me from discussing the subject." Israel has relied on a very wide variety of increasingly sophisticated techniques in carrying out its killing operations. In addition to lethal hand-carried ammunition, these include explosives hidden inside books, booby-trapped envelopes and telephones, toothpaste containing lethal toxin, and bombs on public streets remotely triggered to hit a moving target. Agents have also resorted to driving cars with explosives detonated by laser beams that are relayed from drones or Apache helicopters. The lethal arsenal has also included food poisoning, missiles fired from helicopters, asphyxiation by injected anesthetic, and limpet mines that are attached by a motorcyclist to a moving target vehicle. Interspersed throughout this massive volume are lesser known details about the ever-changing modus operandi of Israel's intelligence and security apparatus. For example, until 1977, all proposals for targeted assassination were reported to a committee of directors of the intelligence agencies, chaired by the head of Mossad. They were then forwarded to the prime minister, who consulted a select group of the cabinet before approving the plans. Prime Minister Menachem Begin, however, deviated from the strict protocol by giving the military and civilian agencies carte blanche. Between 1978 and 1980, Flotilla 13 undertook 23 commando raids, killing 130 PLO operatives inside Lebanon. None of these were authorized by civilian authority. By 1995, a targeted killing by IDF commando units was no longer defined as an assassination but as an "interception" requiring prior authorization only from the chief of staff. One principle that has been fairly strictly observed forbids Mossad agents to undertake killings in enemy states. Bergman reveals that all the hits against Iranian nuclear scientists were carried out by hired members of that country's underground opposition movements and members of the Kurdish, Baluchi and Azerbaijani minorities. The myriad targeted killings detailed by Bergman in chronological order fall into four categories: unqualified successes, disastrous failures, tactical successes/strategic failures, and totally illegal and morally unjustifiable. The most successful operations can be defined as those that eliminate the intended target, cause no collateral casualties, leave no Israeli footprints, and achieve vital security-enhancing political and/or military objectives. The successful missions described by Bergman include the downing by an Israeli Meteor jet of an Ilyushin aircraft carrying nearly the entire Egyptian military leadership back home from Damascus on the eve of the 1956 Suez War. The resulting chaos in the General Staff contributed substantially to Israel's battlefield victory in the ensuing war. Bergman notes that between 1968 and 1972, Shin Bet agents and IDF special forces killed almost 400 wanted PLO militants in the Gaza Strip, essentially wiping out terrorism emanating from the Strip during that period. Likewise, beginning with the second Intifada in late 2000, Israel carried out 168 targeted assassinations of Hamas militants, leading Hamas by 2004 to issue an order to cease all suicide attacks. In the same vein, the killing of Imad Mughniyeh, the Hezbollah chief of staff, in February 2008 enabled Israel to stop all Hezbollah attacks from Lebanon. According to Bergman, the assassination of several top-level Iranian nuclear scientists beginning in 2007 significantly damaged and slowed down various phases of Iran's nuclear-development program, "even bringing some to a standstill." On the opposite side of the spectrum are several embarrassing failures, botched operations that killed the wrong person or went awry during implementation, causing great political or operational damage for the executing agencies and the Israeli government as a whole. A major snafu occurred on December 8, 1988, when the IDF bungled a large-scale operation aimed at killing Ahmed Jibril, commander of the Popular Front for the Liberation of Palestine, at his hiding place in Lebanon. Lacking sufficient intelligence, the assassination force was spotted and fired upon amidst a warren of caves at Naameh. The Israelis withdrew after losing one of their commanders to hostile fire. Bergman further reveals that during the night of September 4, 1997, a 16-member force of Flotilla 13 naval commandos landed on the Lebanese coast on a mission to kill Haldoun Haidar, a Hezbollah functionary. The unit was ambushed, and in the ensuing exchange of fire, 12 of the Israeli commandos were killed. The most notorious fiasco occurred on September 24, 1997, when an eight-member Mossad team attempted to kill Khaled Mashal, the head of the Hamas office in Amman. The Israelis, who had entered Jordan on forged Canadian passports, attacked Mashal in a clumsy attempt to spray a lethal nerve gas into his ear. After two of the agents were caught by Jordanian police, King Hussein demanded and received from Prime Minister Netanyahu an antidote that saved Mashal's life. Hussein eventually agreed to free the captured agents in exchange for the release of Sheikh Ahmed Yassin, the founder of Hamas, from an Israeli prison. The botched operation soured Israel's delicate relations with the Hashemite kingdom, led to the recall of the Canadian ambassador from Tel Aviv, exposed several of the Mossad's operating methods, blew the cover of the entire assassination squad, and eventually compelled Mossad director Danny Yatom to resign. The third category comprises a surprisingly large number of killing operations that were successfully executed but failed to attain their intended objectives, frequently producing unanticipated consequences detrimental to Israeli security in the long run. For example, Operation Spring of Youth, the assassination of PLO officials Youssef al-Najjar, Kamal Adwan and Kamal Nasser in Beirut in January 1973, was initially considered a dazzling success. The IDF commandos destroyed four buildings housing workshops for weapons manufacturing and seized a large number of documents that exposed Fatah cells in the West Bank and Gaza. However, Bergman maintains that the killings eliminated three rivals of Khalil al-Wazir (Abu Jihad), the more radical head of the PLO's Supreme Military Council, who then ordered a wave of some of the bloodiest terrorist attacks on Israeli civilians. These included the killing of 22 schoolchildren in Maalot in May 1974, and the assassination of 11 people at the Savoy Hotel in Tel Aviv in March 1975. In the same vein, the assassination of Abu Jihad in Tunis in April 1988 was perfectly executed. However, while the intent of the operation was to quell the Intifada, the killing of Abu Jihad had the exact opposite effect, helping to intensify the anger that fueled the uprising in the occupied territories. Bergman speculates that, had the charismatic Abu Jihad remained alive, his presence alongside Arafat might have made it much more difficult for Hamas to consolidate its position within the Palestinian camp. The admixture of success and failure was also evident in the assassination of Abbas al-Mussawi, the Hezbollah secretary general in February 1992. Whereas Mussawi devoted his efforts to solidifying Hezbollah's political power inside Lebanon, his immediate replacement, Sayyid Hassan Nasrallah, has been considerably more determined to carry out a guerrilla war against Israel in order to hasten its withdrawal from Lebanon and the West Bank. The targeted killing of Hamas founder and leader Sheikh Ahmed Yassin in March 2004, followed three weeks later by the assassination of his successor, Abd al-Aziz Rantisi, caused Hamas to cease all its suicide attacks against Israel. Bergman notes, while "Israel proved that a murderous and seemingly uncompromising terror network can be brought to its knees," the loss of Yassin, who had strongly opposed any relations with Iran, eventually enabled Tehran to gain a foothold in Gaza. Lastly, the most heinous category of assassinations consists of essentially unauthorized summary executions of unarmed individuals who posed no immediate threat, in violation of Israeli and international laws. Bergman describes in gruesome detail the killing of two cousins, Majdi and Subhi Abu Jumaa, whose attempt to hijack a bus full of Israeli passengers on its way from Tel Aviv to Ashkelon on April 12, 1984, was foiled by Shin Bet and IDF commandos in Gaza. The two Palestinian teenagers, who were not linked to any militant organization, were unarmed when they were captured and hauled off the bus, and therefore should have been treated as prisoners of war. However, Shin Bet director Avraham Shalom ordered Ehud Yatom, commander of a Shin Bet unit, to "finish them off." The two boys were immediately beaten to death with rocks and iron bars. Bergman's balanced account of both provocative acts of Palestinian terror and Israeli targeted killings, enables readers to decide for themselves whether any of these horrors are morally justifiable or effective. What is beyond doubt is that the killings of mostly innocent civilians on both sides resulted from the absence of a viable peace process, and that the mutual bloodshed then makes the quest for a just and lasting peace that much more difficult to achieve. Bergman concludes that Israel has relied increasingly on targeted assassinations as an alternative to both large-scale military operations and diplomacy. He laments that, in particular, the very impressive tactical successes of Israel's targeted-assassination operations have imbued its leaders with a false sense that "Israel could forever impose its rule over the millions of Palestinians in the occupied territories without consequence." Not surprisingly, the last chapter of this eye-opening book is entitled "Impressive Tactical Success, Disastrous Strategic Failure." And while the peace process remains moribund, the intentional killing of civilians continues unabated. On April 24, 2018, Fadi al-Batsh, an electrical engineer and military-technology expert for Hamas, was gunned down by two men on a motorcycle as he stepped out of his home in suburban Kuala Lumpur. Unnamed Middle Eastern military-intelligence sources confirmed that the killing was ordered by Mossad chief Yossi Cohen. It is believed that al-Batsh was sent to Malaysia from Gaza in order to help Hamas acquire drones in its continued campaign against Israel. (Hannah Beech and Ronen Bergman, "Behind an Assassination in Malaysia, Israeli-Palestinian Intrigue," The New York Times, April 26, 2018). There is no forseeable end to the maddening dans macabre.